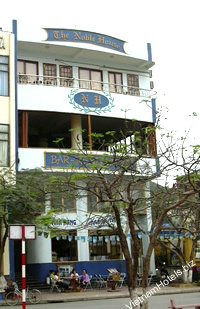 The Noble House is situated in the heart of Cat Ba Tourism centre 200 metres far from the wharf. It consists of 30 accomodations of luxurious and morden conveniences with separated balconies.From their rooms, our clients can enjoy the whole beautiful view of Cat Ba Island at sunset or sunrise. Our clients can receive a good service from our , polite, enthusianstic staff, which will certainly bring to you great time relax. Serving 150 clients with fesh sea food specialities as well as European-Asian dishes, which will certainly satisfy them. The rooftop bar is an ideal place for you to savour a cup of coffe or cocktail in light music while enjoying the panorramic view of Catba and the whole Island.